More than two million Muslims from around the globe started the Hajj pilgrimage on Sunday in Saudi Arabia. Saudi Arabia has mobilised vast resources for the six-day journey, one of the five pillars of Islam. 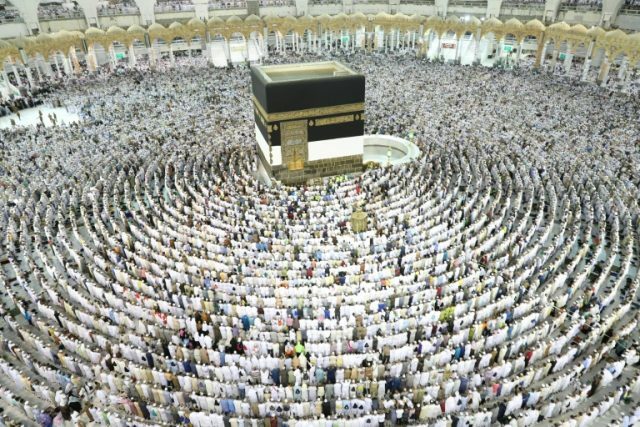 The interior ministry said on Saturday that the number of pilgrims arriving in Makkah had already surpassed the two million mark, mostly from abroad including large contingents from Pakistan, Egypt, India and Bangladesh. Most Muslims began moving on Sunday from Makkah to the nearby Mina valley. They will spend the night there in fire-resistant tents in the desert where temperatures top 40 degrees Celsius. Thousands of buses and vehicles carrying the pilgrims lined the eight kilometre (five-mile) road from Makkah to Mina. Many pilgrims made the journey walking under the scorching sun. Hajj retraces the last steps of the Prophet Mohammed (P.B.U.H) and also honors Hazrat Ibrahim (A.S) and Hazrat Ismail (A.S). It ends with the Eid-ul-Azha which is marked by the slaughter of sheep.